After growing up in New York City and attending N.Y.U. Law School, Frank began his law career in 1976 at the Denver firm of Davis Graham & Stubbs. After a year in real estate, the focus of Frank’s practice became business litigation. Frank formed his own litigation firm in the mid 1980s. In 1989 Frank took to trial a real estate development case against a client of our firm. Frank prevailed in that trial, after which Mark Senn approached Frank about the possibility of joining forces. Frank agreed to do so in 1990, when his firm merged with ours and he became head of our litigation group. Frank has decades of experience handling hundreds of cases and representing individuals and companies in a variety of business litigation matters. Frank has handled through their conclusion numerous cases, arbitrations, and appeals. He has been involved in the defense of class actions, and has successfully prosecuted or defended many multi-million dollar lawsuits. He also has acted as an arbitrator and as a mediator. 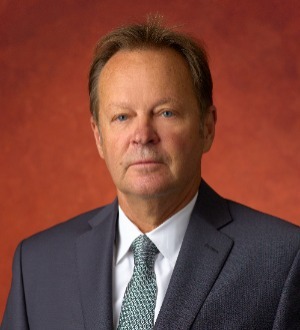 Frank’s business litigation practice areas include real estate, leasing, and land use matters; entity/partner business disputes; breach of contract, fraud, and breach of fiduciary duty claims; securities litigation; employment matters; and creditor representation, foreclosures, loan workouts, and related bankruptcy matters.